Yale University Press, 9780300125634, 322pp. What really happened in the early days of our nation? How was it possible for white settlers to march across the entire continent, inexorably claiming Native American lands for themselves? Who made it happen, and why? This gripping book tells America's story from a new perspective, chronicling the adventures of our forefathers and showing how a legacy of repeated betrayals became the bedrock on which the republic was built.Paul VanDevelder takes as his focal point the epic federal treaty ratified in 1851 at Horse Creek, formally recognizing perpetual ownership by a dozen Native American tribes of 1.1 million square miles of the American West. The astonishing and shameful story of this broken treaty one of 371 Indian treaties signed during the eighteenth and nineteenth centuries reveals a pattern of fraudulent government behavior thatagain and again displaced Native Americans from their lands. 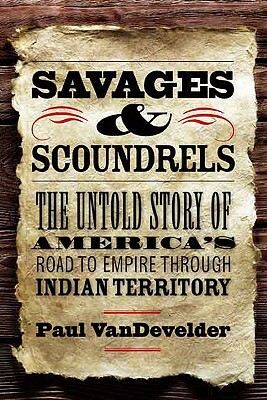 VanDevelder describes the path that led to the genocide of the American Indian; those who participated in it, from cowboys and common folk to aristocrats and presidents; and how the history of the immoral treatment of Indians through the twentieth century has profound social, economic, and political implications for America even today. Paul VanDevelder is a journalist and author. His book "Coyote Warrior: One Man, Three Tribes, and the Trial That Forged a Nation" was nominated for the Pulitzer Prize, the National Book Award, and the American Bar Association's Silver Gavel Award. He lives in the Pacific Northwest.